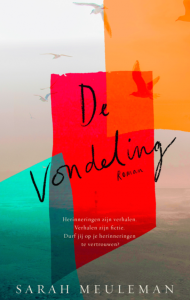 First glimpse of my new novel DE VONDELING (English title: BLACKBIRD) that will hit bookstores in Belgium and The Netherlands on May 28th. This fabulous and offbeat jacket was created by fabulous British designer Anna Morrison. More soon!